Jodhamal Public School celebrated its fourteenth Senior Wing Annual Day on Sunday, the 25 th November, 2018 amidst great zest, vibrancy and elation. Mr. Pramod Sharma, Former Principal, Mayo College Ajmer was the esteemed Chief Guest. Mr. Vikramaditya Singh, Trustee, Dharmarth Trust was the guest of honour. Hon’ble Justice Sindhu Sharma, Mr. A.G. Mir, Additional DGP, Ms. Purnima Sharma, Deputy Mayor & Mr. Ishfaq Jabbar, ex MLA were the special guests. Among the management the dignitaries present were Mr. Bhim Rathke, the patron of the school, Ms. Susham Kuthiala, Mr. Vickrant Kuthiala, Trustees, Ms. Arati Kuthiala, Director and Ms. Shefali Sanwal, Vice-Principal. The programme commenced with the lighting of the ceremonial lamp to invoke God’s blessings. This entailed the welcome speech by the Head Boy Nipun Sharma. An adaption of the Novel ‘OLIVER TWIST’ by Charles Dickens, well directed by a Prolific Playwright & an eminent Author Ms. Gouri Banerji was enacted to its true glory with the idea of finding true Peace & Happiness when some Kind, Empathetic Soul reaches out to you to alleviate your Pain. The illustrious author was felicitated with a momento and a shawl as a gesture of regard for her work. The Principal, Trilok Singh Bist congratulated the School Stakeholders for the No. 1 Ranking of the School in the whole of J&K, by the Education World, for the 4 th Consecutive year. Jodhamal School had the rare honour and distinction of being awarded the ‘GREAT PLACE TO STUDY’ at the House of Commons, London. He said that it’s yet a matter of Pride that Jodhamal Public School has been awarded the ‘Top 50 Schools’ shaping success for the 2 nd year in a row by the legendary FORTUNE magazine in collaboration with Price Water House Coopers and univariety. Jodhamal was also ranked 3 rd all over India for Leadership & Innovation in an Elite Ranking conducted by Harvard & Stanford University. Mr. Nandan Kuthiala, The Trustee, spoke of the future plans and presented his vision for the progress of the school. He emphasised about the RAI BAHADUR JODHAMAL KUTHIALA Scholarship, a sum amount of ₹10,000, which was awarded to 40 Girl students studying in Class XI of Government Schools from Remote Rural Border areas of Jammu, Samba, Poonch, Kathua & Rajouri District. The highlight of the Show ‘Shiv Vandana’ was presented with Grace, Poise, Rhythm & perfect Synchronization. The children infused the feeling of Devotion & Introspection to augment Soul Searching. Mime was yet another technique to ignite the emotions. Kathak & Oddisi dance performed by students with dramatic expression combined with rhythmic intricacy left the audience spellbound. The Costume & Make-up Departments outdid themselves for the same. The hardwork & toil of the Art & Craft Department comprising of Chander Shekhar, Amandeep Kaur, Sushma Talwar, Hemu Jaggi & Nivedita Sharma reflected vividly through the 3D props displayed on Stage. Ms. Shruti Bakshi & Ms. Aadi Sharma were the main Choreographers of the event. The well Synchronized Orchestra was a toast to the Classics & Chorus Singers were blissful to the Ears, enthralling the audience and recognising an outstanding dedication of Choir Mentors Poonam Mahajan, Deepak Kumar, Subhash Dey, M .K. Sahil & Kuldeep Raj to promote Music, a Culture of Peace. The Chief Guest in his speech expressed appreciation for the laudable efforts of the Principal & his Team. He was mesmerised with the emaculate acting of all in the Oliver Twist and felt that the dramatization was no less than his Alma meter Mayo Collage and the kids emoted out with even better vibrancy. He gave special reference to the fundamental facilities & systems of the Institution and accentuated that Jodhamal to be the Pioneer in the World of Education. He motivated the students by urging them to hone their talents & felicitated them with Prizes. All the Awardees walked on the Stage with immense Pride & Pleasure. Class XII & X toppers were Honoured. Ms. Nandini Bakshi, CCA coordinator & Ms. Rashi Magotra, Senior Coordinator presided over the Prize giving Ceremony. The Vote of Thanks was proposed by the Head Girl, Dhvani Gupta. The programme was compered by the Senior Team of Smart Oratory Experts & was culminated with a Pious concluding Shalok & the National Anthem. Sahodaya Inter School Roller Skating Championship was organized by Sahodaya Jammu at JK Public School, Kathua. 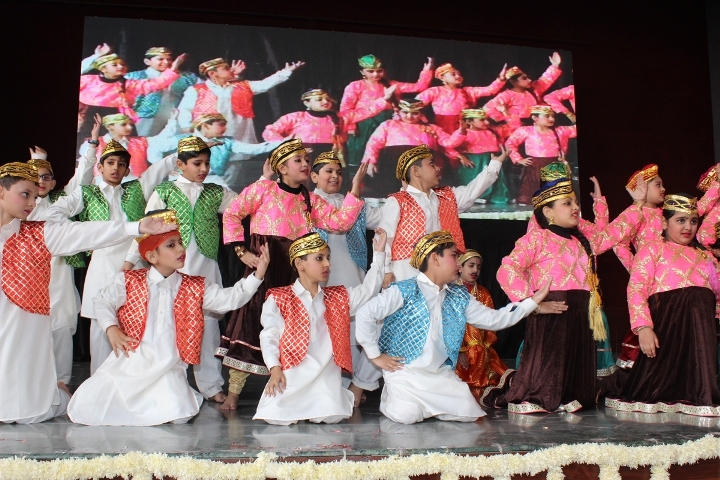 It was an event of its kind where more than 20 schools participated from all the elite schools of Jammu & Kashmir. Jodhamal students won the maximum number of medals 11 Gold, 06 Silver and 07 Bronze in the championship. The list of medal winner is as follows: - In the Gold Category, the winners are : Advitya Sharma, Ayesha Hayyat Malik, Aarav Sharma, Raghvi Singh, Aarohi Mahajan, Adhya Sambyal, Saanch Anand where as Yuvraj Singh & Gursimar Kaur won 2 Golds in different events. In the Silver Category, the winners are: Tara Basotra, Advitya Sharma, Sweta Sharma and Ayesha Hayyat Malik whereas Sarish Abrol won 2 Silver. In the Bronze Category, the winners are: Tara Basotra, Adhivik Mahajan, Sweta Sharma, Saanch Anand and Aarav Sharma whereas Eklavya Mahajan won 2 Bronze. Jodhamal become the overall winner of Sahodaya Inter School Roller Skating Championship. The School Principal, Mr. Trilok Singh Bist felicitated the winners in a special assembly in the school and congratulated Mr. Kamal Anand and Mr. Ritish Jamwal, Coach Jodhamal School for preparing the team so well and also appreciated Harjeet Kaur for escorting the students to Kathua. Although more than 27 schools participated in the tourney Jodhamal stood out in the crowd with almost 55 points whereas the second position was bagged by MHAC Nagbani with around 27 points. Jodhamal Public School celebrated its thirteenth Annual Day on Friday, the 1st December, 2017. Ms. Bharti Vaid Addl. Director, Press InformationBureau, J&K State, was the esteemed Chief Guest.Dr. Dimple Chopra Deputy Director, Health Dept. was the Guest of Honour.Mr. VikarRasool MLA and Mr. FirdousTak MLC were the special guests. Among the management the dignitaries present wereAartiKuthiala,Director and Pooja Panthri , Vice Principal. The programme commenced with the lighting of the Ceremonial lamp to invoke God’s blessings. This entailed the Welcome speech by the Deputy Head Girl Nimisha Shukla. A feast for the soul was the Cultural dance ‘Maha Shakti Vandan’ based on the theme ‘From Darkness to Light’. The ethnic diversity of ‘The Diwali Dance’ enthralled the audience while the ‘Christmas Dance’ heightened the spirts of the onlookers. An adaption of the timeless epic ‘Akbar Birbal’ was enacted to its true glory and the rhythmic verses of Qawwali left the audience mesmerized. A splash of colours was added with the Carnival dance and the Hula –Hoop Gypsy Dance displayed the agility of the young dancers. The hard work and toil of the art and craft department, reflected vividly through the 3D movable props displayed on stage.The efforts of Nivedita Sharma, Chandra Shekhar, Amandeep Kaur and Anjali Bharti for preparing the exclusive paintings and props were applaud worthy. Sonia Mahajan, CCA Coordinator, ShrutiBakshi and Aadi Sharma were the main choreographers for the event. Mr. NandanKuthiala, the Trustee, spoke of the future plans of the school and emphasized about the RAI BAHADUR JODHAMAL KUTHIALA scholarship for girls studying in class 9th and 12th in Govt. Schools, affected by cross border shelling. The well synchronized Orchestra and chorus singers were blissful to the ears and transported the audience to the 60’s and 70’s. 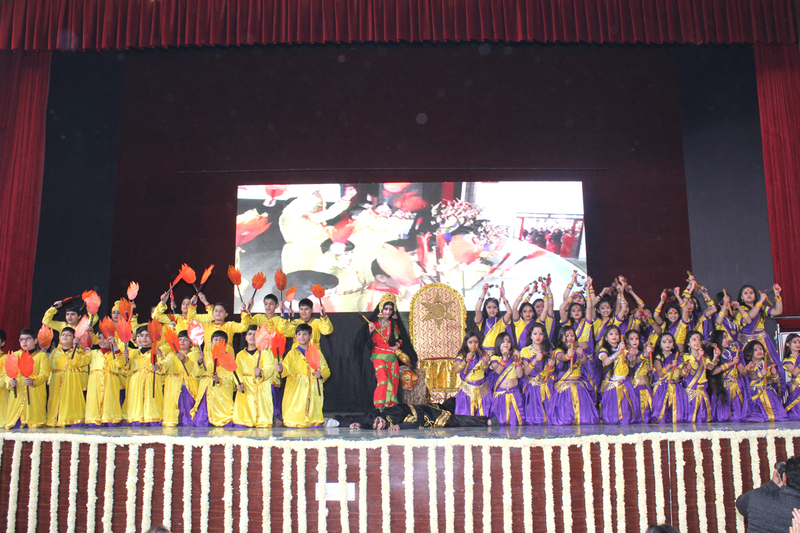 Efforts of the Choir Mentors Poonam Mahajan, Deepak Kumar, SubhashDey and MK Sahil was applause worthy. The Principal, Trilok Sing Bist congratulated the school stakeholders for the No. 1Ranking of the school in the whole of J&K, By the Education World, for the third consecutive year. Mr. Bisthighlighted the exceptional results of class X and XII. It is a global bench mark for Jodhamal Public school to be the first school in Jammu and Kashmir to conduct the prestigious Trinity College London exam. Jodhamal has been included in the list of Top 50 Schools of the country by Fortune Magazine and Price Water House. Ms. Bharti Vaid Addl. Director ,Press InformationBureau stated that she was very happy to note that Jodhamal School has excellent academic results of class Tenth and Twelfth. He gave special mention to the developing Infrastructure and accentuated that Jodhamal to be the pioneer in the world of education. Ms. Ranju Malhotra and Urmila Kaul, Coordinators presided over the prize giving ceremony. The Vote of thanks was proposed by the Deputy Head Boy Arya Abrol. The programme was compered by the junior team of smart oratory experts. The programme culminated with a pious shlok and the National Anthem.